Dr. Whitfield delivered my son in 1995 and I have been going to him since that time. He is the best gynecologist I have gone to. Dr Whitfield takes the time to make you comfortable, and to ensure all questions or issues you may be having are addressed. I highly recommend him. Everyone is so nice and helpful. Dr. Whitfield is so caring. 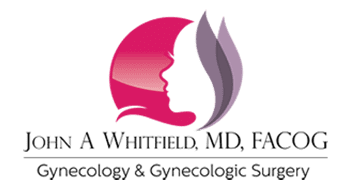 Highly recommend Dr. Whitfield, a caring, experienced, and progressive physician. Pellet treatment has worked wonders for my menopause symptoms. His staff is friendly and helpful. Good location as well with a pharmacy and mammogram business in the same building. I haven’thad the best luck with doctors in the past, but Dr. Whitfield has completely changed my outlook on doctor appointments. He is very kind and VERY knowledgeable. He listened to what I had to say and thoroughly explained my treatment plan and made me feel at ease. HIGHLY recommend to anyone looking for great care, bedside manner and someone who truly cares about your needs. The entire staff was amazing. Dr. Whitfield was very thorough and also very kind. I will be referring all my friends and family. Dr. Whitfield is an excellent Doctor! Dr Whitfield was thorough and compassionate. He presented multiple treatment options with thoughtful guidance to help put together a comprehensive plan of action. I always have a great experience with my doctor. Dr. Whitfield has wonderful office staff! He's one of the most knowledgeable GYNs in Fort Worth. Keep up the great work! Very professional as always; Dr. Whitfield is extremely concerned about the overall good health of his patients and he's real easy to talk to about life and health. Great Place! the staff is always nice and professional! Dr. Whitfield is AWESOME!! Very professional and Dr. Whitfield takes time to listen to my concerns and provides feedback and solutions. Gentle with a great bedside manner. They are always fast at getting you in. Always pleasant. I feel comfortable, Dr. Whitfield answers all my questions. 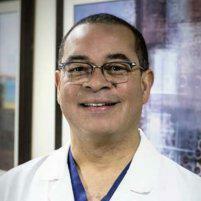 Dr. Whitfield is very knowledgeable and concern about his patients. His whole Staff is pleasant.